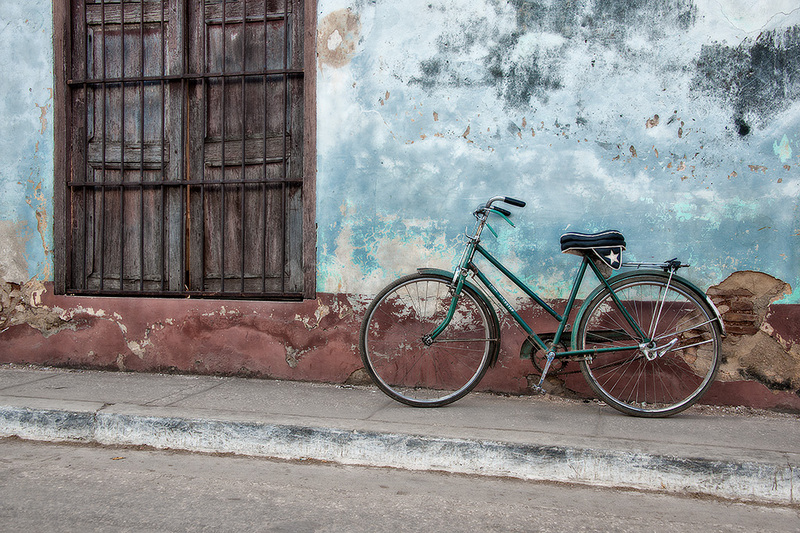 What would a trip to Cuba be without an image of a bike? Bikes, in various states of repair are all throughout Cuba. It is a common mode of transportation. In the case of this particular bike, it belonged to a gentleman on the other side of the street. He and his family were watching us photograph the wall without the bike. I asked, in my very limited spanish, if we could move the bike to the wall. He agreed, and laughed even harder at us crazy Americans photographing his bike with one pedal. Then we showed him what we were doing which drew a number of ohhh and ahhhh’s. It was great fun! I really like the variety of textures and muted colors captured in this shot. Nice composition!